Mining giant Rio Tinto (ASX, LON:RIO) has applied for exploration permits in Chile’s northern region of Arica, as the company searches globally for new deposits worth of being developed into mines. The firm, which already owns a stake in a Chilean mine, but doesn’t have its own operation in the country, wants to start drilling in an area located at 2,100 metres of altitude, about 58km from Arica city, close to the border with Peru and Bolivia, local paper El Mercurio reported (in Spanish). 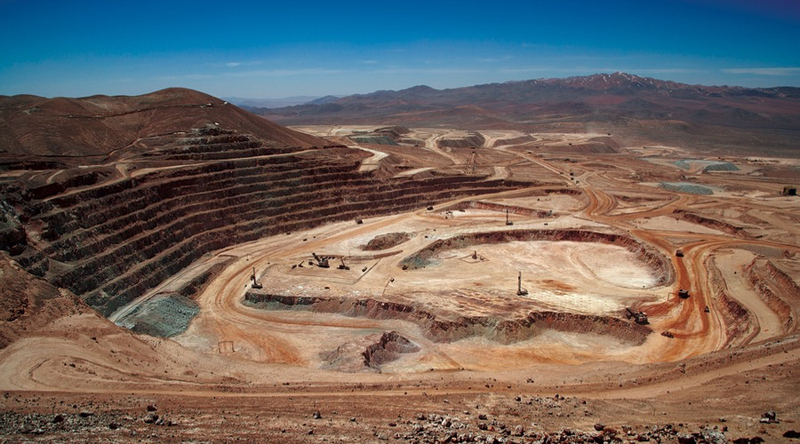 Rio Tinto owns 30% of Chile’s Escondida, the world’s largest copper mine, but the operation is run by BHP. The so-called Palmani project aims to discover and characterize the mining potential of the area, which could eventually be developed into a mine, according to information provided by the country’s Environmental Assessment Service (SEA). This is not the first time Rio explores Chile in the hopes of finding a significant copper deposit. Between 2008 and 2009, the company signed a couple of agreements with state-own Codelco, the world’s top copper producer, to jointly drill-test properties in the Atacama Desert, close to BHP’s Spence mine. Rio Tinto currently has a 30% stake in Chile’s Escondida, the world’s largest copper mine, but the operation is run by BHP. The Anglo-Australian group has also begun an exploration-drilling programme in Mongolia’s metals-rich Gobi desert, where it owns the vast Oyu Tolgoi copper-gold mine, scheduled to be operating at full tilt not before 2027. Analysts have questioned Rio’s ability to scale up its copper business quickly without making an expensive acquisition. Not only Oyu Tolgoi is far from reaching full production, but also Rio’s involvement in an expansion of Grasberg, the world’s second-biggest copper mine, is now an uncertain project due to a dispute with the Indonesian government. The company believes the copper market will go into deficit by 2020 as it faces declining supplies and the prospect of increased demand, driven by infrastructure, electric vehicles and other renewable technologies.